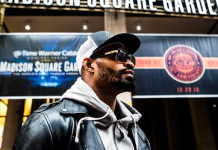 Earlier this month, we learned that World Series of Fighting star David Branch had entered free agency. 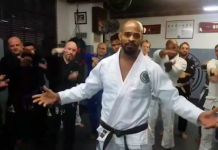 Branch, who was the champion of both the WSOF light heavyweight and middleweight divisions, made this announcement on a recent episode of The MMA Hour. Just weeks into his free agency, Branch has now signed with the UFC. 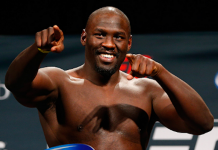 His new contract with the organization was confirmed by MMAFighting.com. Branch, of course, is not unfamiliar with the organization. He has fought in the Octagon four times before, defeating Tomasz Drwal and Rich Attonito and losing to Gerald Harris and Rousimar Palhares. 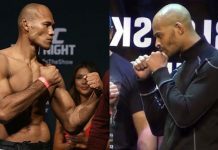 At the moment, the details of his return to the Octagon are not known, though we can expect him to join the middleweight roster, rather than the light heavyweight roster. As a WSOF fighter, he went 10-0, scoring notable wins over Jesse Taylor, Yushin Okami, Clifford Starks, Vinny Magalhaes and Louis Taylor. 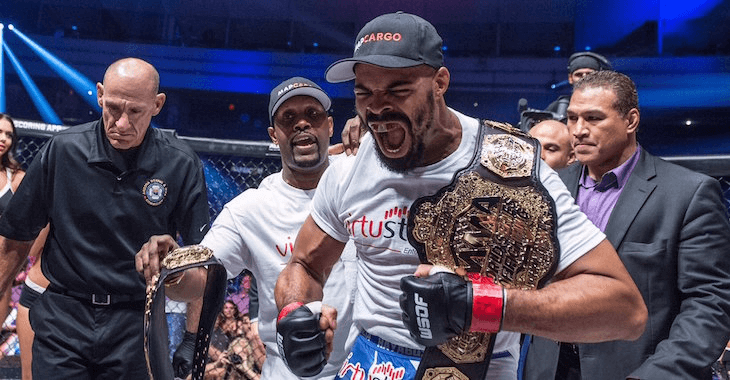 Who do you want David Branch to fight in his return to the Octagon? Sound off, PENN Nation! This article first appeared on BJPenn.com on 2/15/2017.